This Is How Ritesh Sidhwani Celebrated His Christmas! Home BOLLYWOOD This Is How Ritesh Sidhwani Celebrated His Christmas! Filmmaker Ritesh Sidhwani has had a successful year with projects like Gold, Mirzapur, KGF which have received immense praises from audience and critics alike. 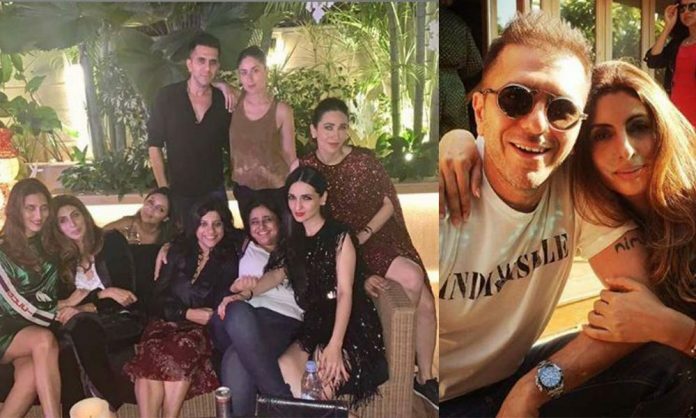 While the entire world is celebrating Christmas, Ritesh Sidhwani too threw a Christmas bash for close friends and family at his residence. The filmmaker also attended the Christmas bash of socialite Anu Dewans. Ritesh Sidhwani took to his Instagram page and posted an image writing,”#successfulphotobomb by @gaurikhan #bebo & moi #merrychristmas #sparkleandshine# timetocelebrate. The Filmmaker had recently thrown a success bash celebrating the success of Mirzapur. The producer is currently looking forward to the release of Zoya Akhtar directorial ‘Gully Boy’. Ritesh has also started the shoot of the sequel of the much-loved web series Inside Edge. Next articleHere’s What International Director Has To Say About Yo Yo Honey Singh’s Makhna!